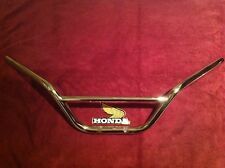 HONDA CL77, CL72 Honda Scrambler Rear Footrest Rubbers. 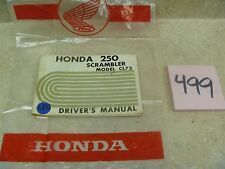 HONDA CL72 250 CL77 305 SCRAMBLER ‘CENTERED BALL’ NOS CLUTCH LEVER! 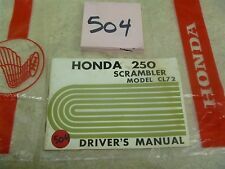 Honda CL72 Honda Scrambler 250 Owners Manual. 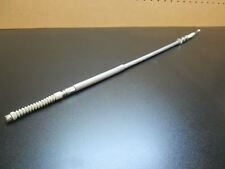 HONDA CL72 250 CL77 305 SCRAMBLER ‘CENTERED BALL’ NOS FRONT BRAKE LEVER!